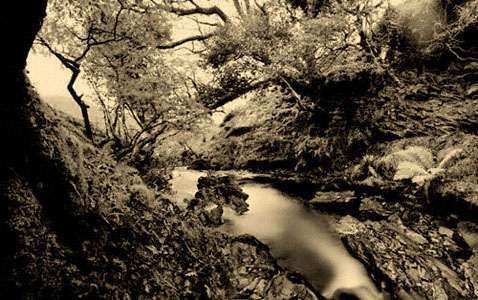 The Fairy Glen is full of ancient trees such as the Holly and the Hawthorn, believed by many to have magical properties. Local legend has it that if anything is removed from the Fairy Glen, it must be returned. Does this apply to images too? A BBC film crew once shot some footage up here, but the programme was never made - the fairies' revenge?